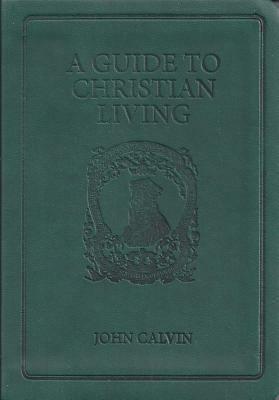 John Calvin (10 July 1509 â€“ 27 May 1564), nÃ© Jehan Cauvin, re-translated from Latin Calvinus into Jean Calvin in modern French, was an influential French theologian and pastor during the Protestant Reformation. He was a principal figure in the development of the system of Christian theology later called Calvinism. 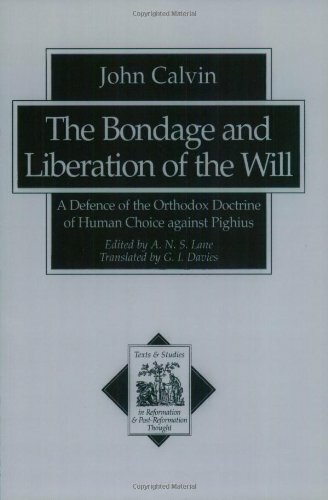 Originally trained as a humanist lawyer, he broke from the Roman Catholic Church around 1530. After religious tensions provoked a violent uprising against Protestants in France, Calvin fled to Basel, Switzerland, where in 1536 he published the first edition of his seminal work Institutes of the Christian Religion. In that year, Calvin was invited by William Farel to help reform the church in Geneva. The city council resisted the implementation of Calvin and Farel's ideas, and both men were expelled. 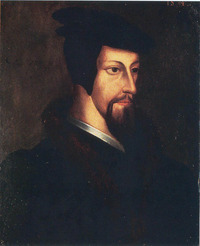 At the invitation of Martin Bucer, Calvin proceeded to Strasbourg, where he became the minister of a church of French refugees. He continued to support the reform movement in Geneva, and was eventually invited back to lead its church. Following his return, he introduced new forms of church government and liturgy. Following an influx of supportive refugees and new elections to the city council, Calvin's opponents were forced out. Calvin spent his final years promoting the Reformation both in Geneva and throughout Europe. Calvin was a tireless polemic and apologetic writer. He also exchanged cordial and supportive letters with many reformers including Philipp Melanchthon and Heinrich Bullinger. In addition to the Institutes, he wrote commentaries on most books of the Bible as well as theological treatises and confessional documents, and he regularly gave sermons throughout the week in Geneva. 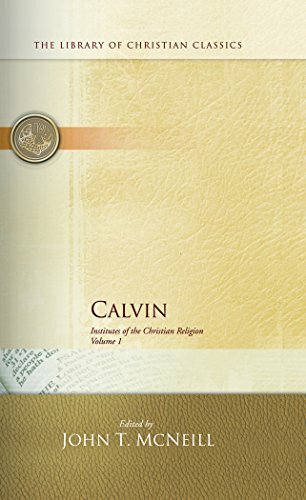 Calvin was influenced by the Augustinian tradition, which led him to expound the doctrine of predestination and the absolute sovereignty of God in salvation. Calvin's writing and preaching provided the seeds for the branch of theology that bears his name. 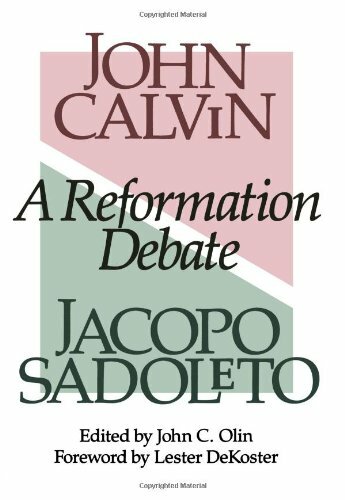 The Presbyterian and other Reformed churches, which look to Calvin as a chief expositor of their beliefs, have spread throughout the world. Calvin's thought exerted considerable influence over major religious figures and entire religious movements, such as Puritanism, and some have argued that his ideas have contributed to the rise of capitalism, individualism, and representative democracy in the West. The Christian life, as Calvin describes it, is lived simultaneiously in the shadow of the cross and in the bright light of the resurrection. That the writer himself knew something of the cost of discipleship is clear from a consideration of his own experience.